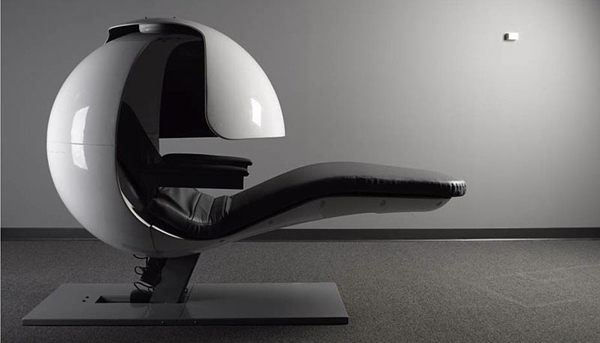 EnergyPod MetroNaps is a futuristic chair that will allow you to relax in comfort and privacy. EnergyPods feature is that it has built-in speakers which will wake you from a dream with soft sounds. 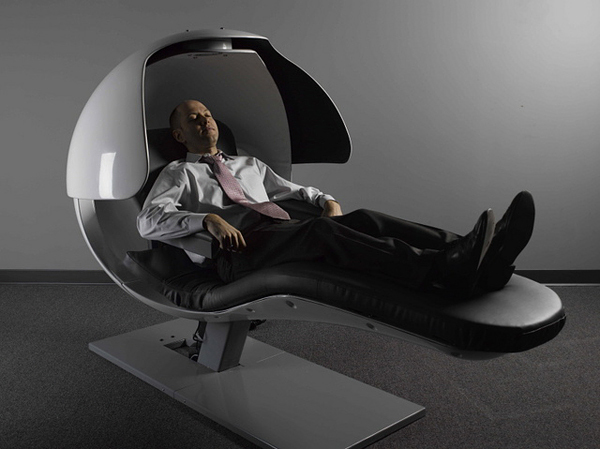 “The EnergyPod is an innovative and elegant solution to a modern problem: where to take a brief nap while at work. 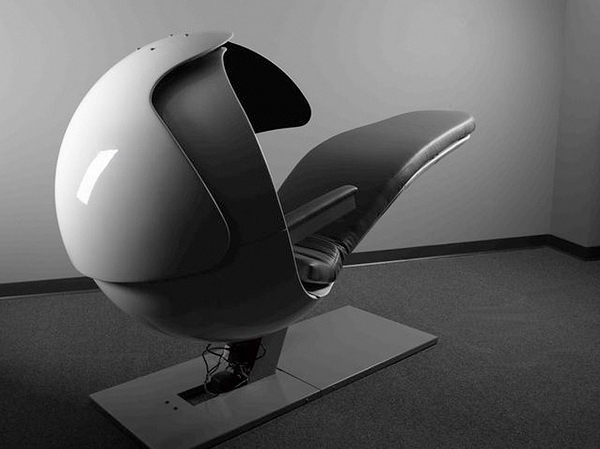 Based on years of research, the world’s first chair designed specifically for napping combines stylish design with ergonomic functionality to create the ideal energy enhancing environment.” A perfect place to relax, don’t you think?